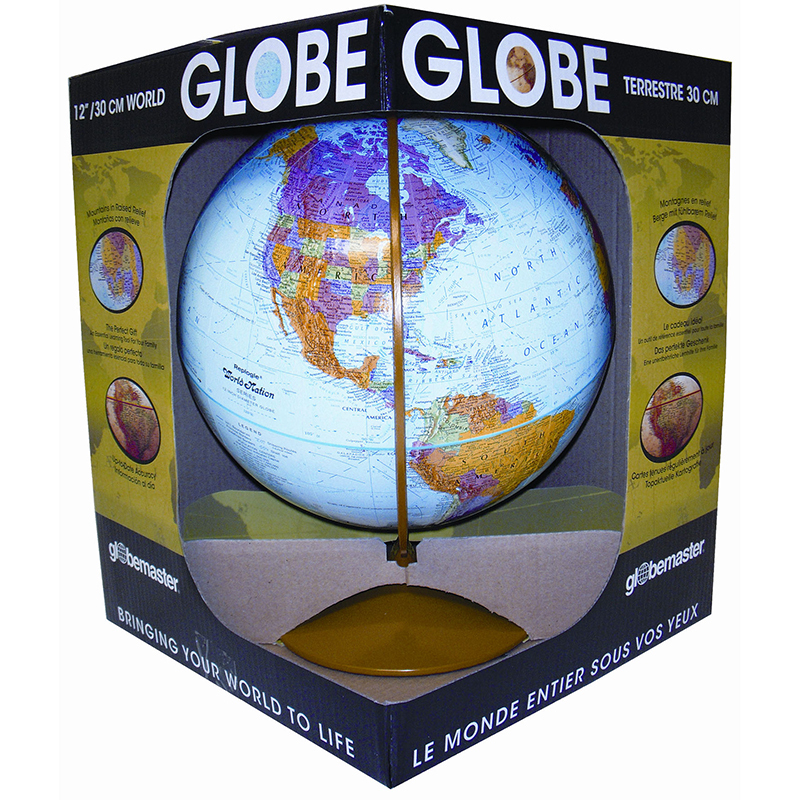 Classic 12" blue political globe in sturdy metal meridian. Vibrant contrasting colors making finding locations easy. More than 4,000 place names shown. Packaged in handsome display carton in master pac of 4 globes.